We wish the Mayo U20 team the very best in the All Ireland Final against a very talented Kildare team. 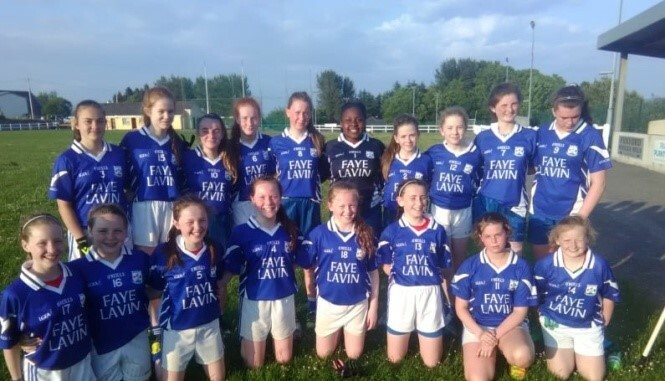 Our Rounders teams have been hugely successful once again this year with teams competing in underage as well as senior men’s, women’s and mixed categories. The ladies club continue to compete in all levels with numbers growing each year. A massive thanks to the ladies for their ongoing dedication and commitment. I would like to wish clubman Kieran Barnicle well as our club referee. Don’t be surprised to see him presiding over a county game in the not so distant future. The OsKaRs fundraising initiative, spearheaded by MJ Reddington was a major success and achieved both of its aims – to raise vital funds for the club and also to forge strong and lasting relationships between club members and the wider community. A massive thank you to everyone who participated in any way and contributed financially. We can all stand up and take a bow and be proud of everything we achieved. I encourage anyone who hasn’t visited our Ballyheane facility recently to do so and enjoy the upgrades that have taken place there including a new track. A huge thanks goes to Padraic Walsh for his continued dedication to developing our club in Ballyheane and surrounding areas. Our club lotto continues to be available in many outlets throughout Castlebar, Ballyheane and Breaffy. We are grateful to everyone who supports our vital fundraising efforts. I hope everyone enjoys the remainder of the summer and we look forward to seeing you out supporting our teams. Last October our Senior team secured the Mayo Senior League Group 1A title against Knockmore. 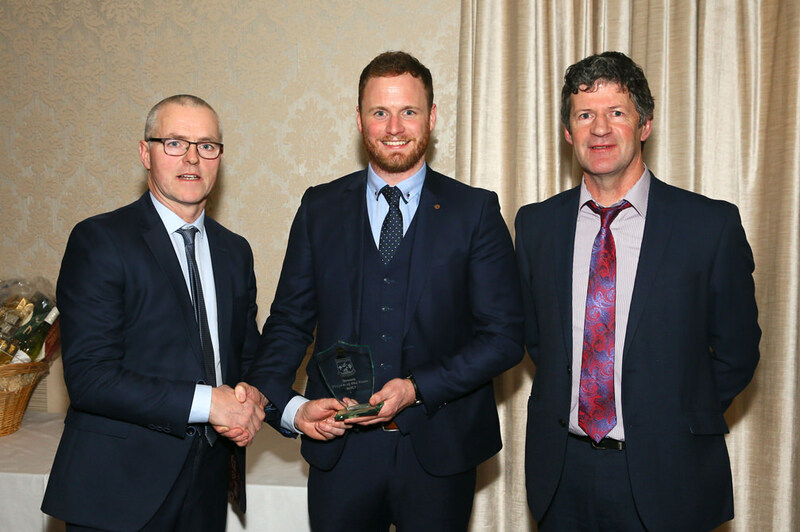 At the Breaffy GAA annual dinner dance in January, the team were presented with the first David Gavin Mayo Senior League Division 1A Cup. We are extremely proud of these lads after a difficult year and hope that their success will continue in the coming years. The Senior team started this year’s Championship with a win over Kiltane and the competition will resume again at the end of the Summer when we take on Ballintubber away on Aug 25th. Best of luck lads! After a difficult start to the season, where it appeared at one stage that we would not field a Junior Team, the lads finally got their season up and running with a win over Moygownagh. They finished 3rd in their Junior B Championship group and lost narrowly to Westport in the West Mayo Junior B Championship Semi-Final. We would like thank Terence Mc Alinden, Ciaran Rice, Brian Ruane, Tommy O’Reilly and many more who stepped up when it counted. Big things await this young team next season (although there’s a few seasoned campaigners mixed in too!). Our Bord na nÓg under the Chairmanship of Enda Mulchrone is growing from strength to strength. Over 230 children took part in the Cúl Camp which was held recently in Breaffy. With all the talent coming through at underage the future of Breaffy GAA Club looks very bright indeed. 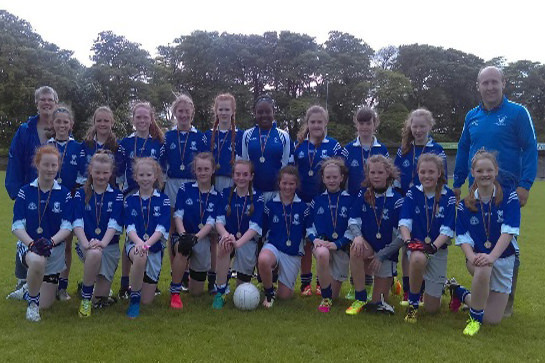 Hard luck to our U14s who battled all the way to the county A Final, only to be beaten by Westport. Well done to all the players and management for all their hard work and dedication. Breaffy has always had a strong tradition of rounders, stemming back to when Tom Higgins was principal in St. John’s N.S.. We are delighted that it is now going from strength to strength. The underage teams are always competitive at All Ireland level, but now the club has 3 senior teams (men’s, women’s and mixed) who have qualified for the All Ireland knockout stages for the 1st time. We want to wish them all the best and hopefully there will be at least one All Ireland senior title coming back to Breaffy for the first time since the mid 1990s. They have set up a Facebook page (Breaffy Rounders) if you would like to find out more about the teams and follow their success online. The Breaffy Oskar’s fundraising Committee would like thank you for all for your much valued and appreciated support in our recent fundraising event. On the evening, 7 iconic scenes from famous movies were premiered in front of a panel of judges and an audience of over 1,000 people. The event generated a lot of coverage and interest via social media as well as the local and national media. In addition, a wide range of unknown talents were highlighted from the actors and teams that took part in the filming. From a fundraising perspective the event was a fantastic success raising just over €65,000 and a subcommittee has been set up to review how we use the funds and look at opportunities to get additional support through grants or matched funding. Areas being reviewed include the redevelopment of our facilities in both Breaffy and Ballyheane especially focussing on drainage of the Breaffy pitch, lights at Ballyheane and the upgrading of both clubhouses. The improved facilities will benefit all of us as members, the wider local community and our players at all levels across the ladies and men’s clubs. A huge thanks to everyone for supporting the Breaffy GAA and Community Dinner Dance in January. This was the biggest crowd we have had in recent years and it was thoroughly enjoyable. It was wonderful to celebrate the achievements of our footballers, rounders players, ladies club and our club person of the year, Lorraine Hall. It was also an opportunity to pay tribute to David Gavin and Faye Lavin on what has been a very difficult year for our community. We are delighted to inform you that our 2019 dinner dance will return to Breaffy House Resort on Jan 19th, entertainment will again be provided by Wavelength. Rob Hennelly Senior Player of the Year being presented his award by Semus Tuohy and Peter Ford. 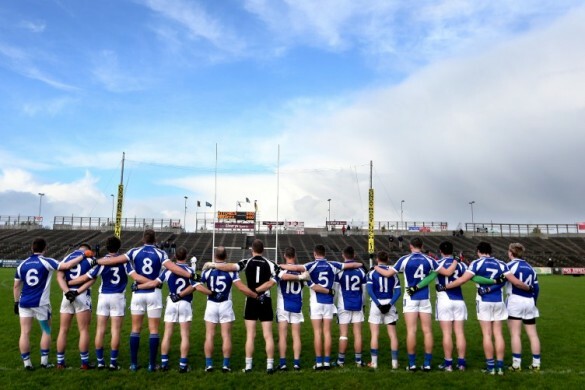 Breaffy GAA Health and Wellbeing has been in existence now for almost 2 yrs. We have a regular group who continue to get together for our planned walks on Tues and Wed evenings – we meet at the clubhouse at 8pm, new comers are always welcome. It’s always good to walk and talk. We tried out Line Dancing in the clubhouse in early June – it really was great fun, terrific exercise and the music was wonderful – so we plan to run lessons in October and November, of course you are all welcome to join us – we will be in touch with details in mid September. We are also very pleased to inform you that Breaffy GAA has been accepted onto phase 3 of the Healthy Club Project. 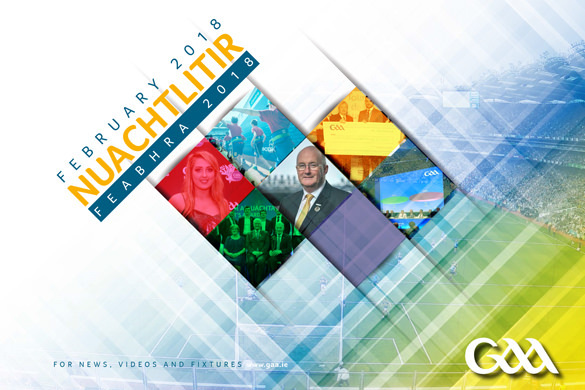 The aim of this project is to help GAA clubs identify what they are already doing well, areas they can or would like to improve and to empower them to ensure that everyone who engages with their club benefits from the experience in a health enhancing way – be they players, officers, coaches, parents supporters or members of the local community. Contact Breaffy’s Health and Wellbeing officer, Helen Heneghan, on 087 9438894 with any queries. 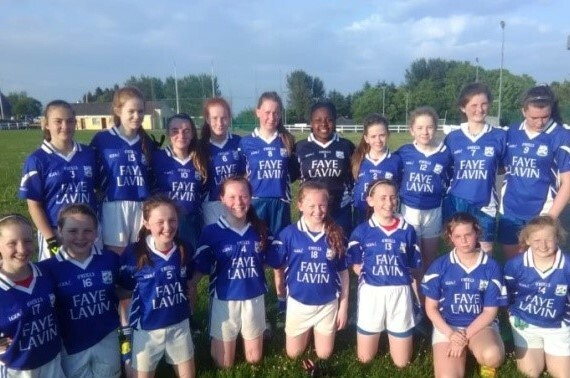 The U14 girls team proudly wearing a new set on jerseys in memory of our beloved Faye Lavin. On St. Stephen’s Day last, Breaffy GAA hosted the first of what will become an annual event, the David Gavin blitz between senior players past and present. Four teams of 11-a-side battled it out over the course of the day to see who would be crowned champions. In all 55 players togged out on the day and enjoyed refreshments which followed in the clubhouse. We thank all who were there to take part and those who came along to support for generously contributing to the David Gavin Fund. Thanks especially to Eoin Carney, Colm Kelly, Micheál Jennings, Padraig Mylett and Steve Jordan for organising the event. If you would like to purchase Breaffy GAA gear as a gift – or as a treat to yourself, click here or to our Breaffy GAA Facebook page and click on shop. We plan to launch our Healthy Club on Saturday 6th October at Breaffy Clubhouse. More info on this launch will be available in September. Our Fashion show with Afternoon tea – “Afternoon Delight” – is returning for a second year on bank holiday Monday – 29th October at Breaffy House Resort. Our “Exercise with Mick” class has taken a summer break but we hope to return to this in the future.